Remember Hassan Nemazee?He’s the New York financier and Democratic fundraiser who plead not guilty to ripping off big banks of hundreds of millions of dollars by making up collateral. Today, he admitted to the fraud. Dept. 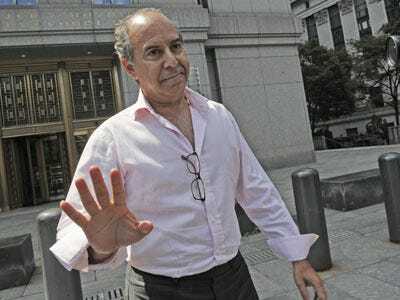 of Justice: [Nemazee] pleaded guilty today to charges of defrauding Bank of America, Citibank, HSBC, and a longtime friend and business associate of a total of more than $290 million in loan proceeds. From 1998 to 2009, Nemazee obtained hundreds of millions of dollars in loans from BofA, Citibank, and HSBC. To obtain the loans, Nemazee misrepresented to the banks that he owned hundreds of millions of dollars in collateral, in the form of securities and other assets, which he did not own. Well, at least it was fun while it lasted. Nemazee enjoyed influence in Democratic circles, including the presidential campaign of Barack Obama, and lived a life of luxury complete with glamorous apartments and homes, sports cars, a yacht and a jet. “Nemazee orchestrated an elaborate shell game to defraud three major banks, scamming them to the tune of $290 million to finance his posh life and create a reputation as a political kingmaker,” said Preet Bharara, the U.S. Attorney for the Southern District of New York, in a statement today.